Top: President Trump's new page on energy, an archive of President Obama's page on climate change underneath. 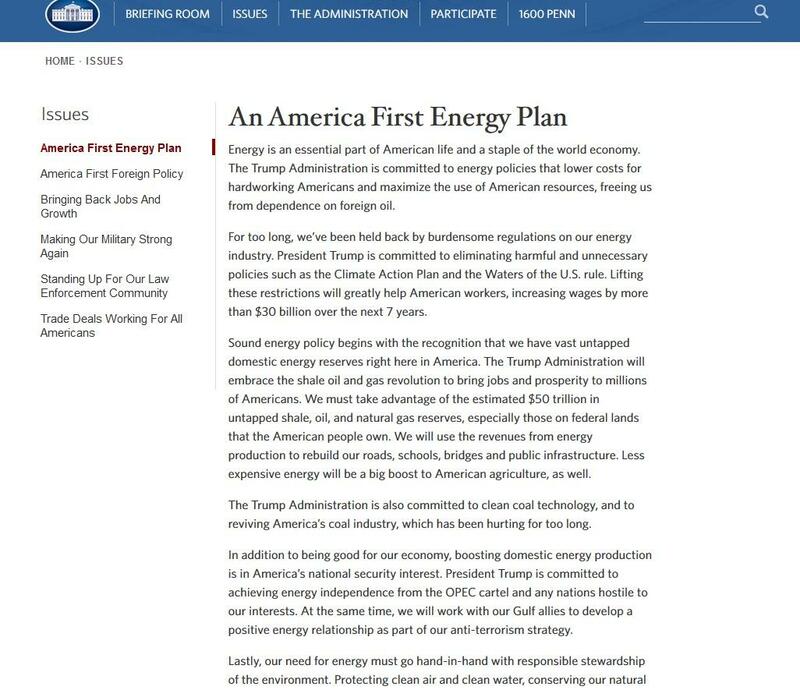 The new "Energy Plan" under Donald J. Trump stark contrast to Obama's Climate Change themed webpage. The change represents what many in the environmental protection community feared. Commenting recently on a similar change to the website of the Wisconsin Department of Natural Resources, National Wildlife Federation President Collin O’Mara said he's fearful of the direction the Trump administration will take when it comes to climate change. "I do think we’ll see a push in less federal involvement, obviously than we’ve seen under president Obama’s leadership in the last few years," O'Mara said. 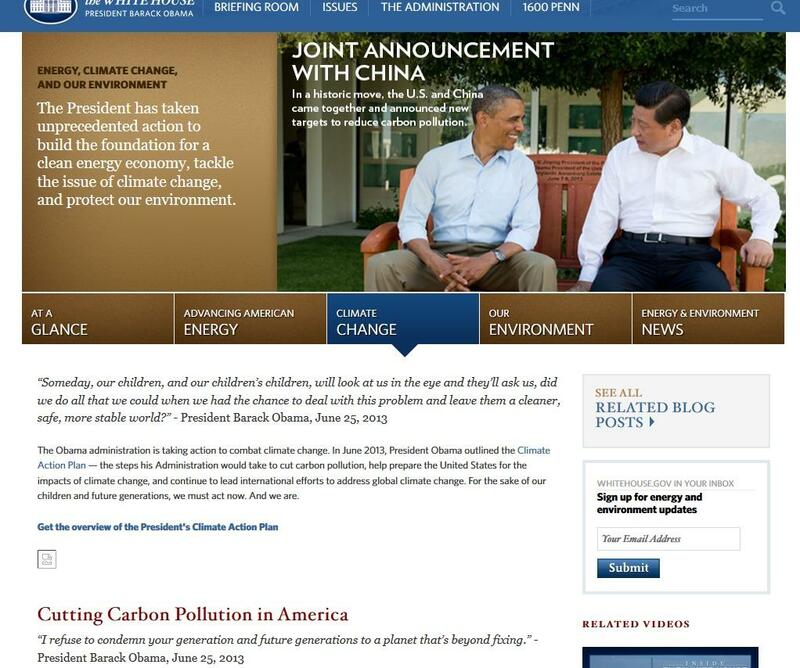 The old climate change page under former President Obama. The old page, which can be found on an archive from former President Barack Obama, features information about reducing carbon pollution and a "Climate Action Plan." That is in stark comparison to the section of the new whitehouse.gov website dedicated to the issue. It's entitled "An America First Energy Plan." The page states: "President Trump is committed to eliminating harmful and unnecessary policies such as the Climate Action Plan and the Waters of the U.S. rule. Lifting these restrictions will greatly help American workers, increasing wages by more than $30 billion over the next 7 years."